Trip to Madame Tussaud’s Wax Museum! 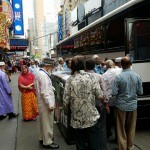 On August 18th, members from our Desi Senior Center took a trip to Madame Tussaud’s Wax Museum in midtown Manhattan. 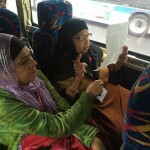 Departing from the Jamaica Muslim Center at 11 a.m, the two buses made it to the museum at 12:30pm. During the trip, our seniors had lots of fun singing songs and telling jokes. At the museum, they were thrilled by the wax statues of famous people. Wax statues at the museum are difficult and expensive to make, our members learned. 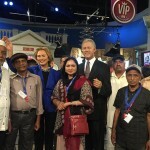 They were especially happy to see Bill and Hillary Clinton. 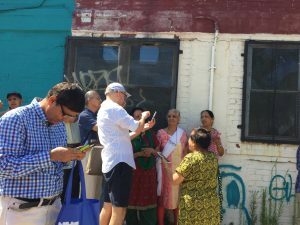 After hanging out on 42nd Street and seeing all the tourists and bright lights of the theater district, we took them to Brooklyn to show them around this borough. 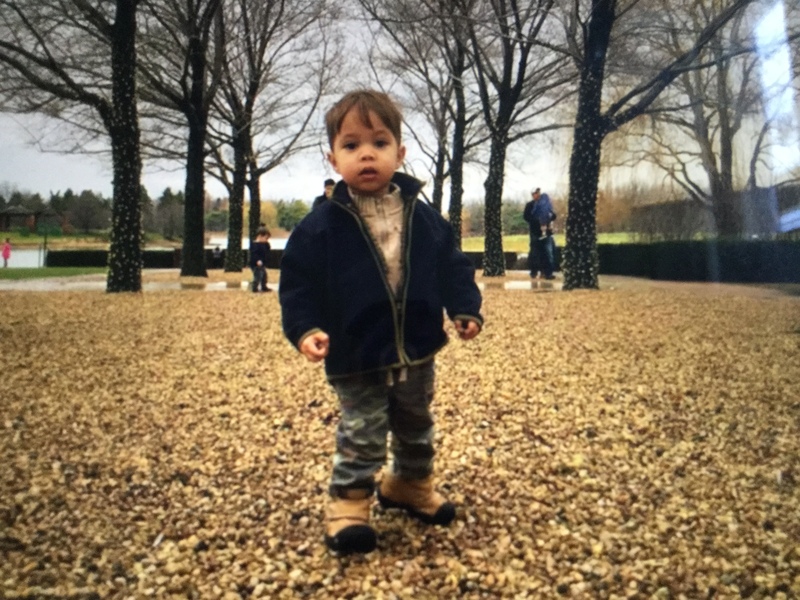 They went to downtown Brooklyn – and were impressed by its skyline- and Prospect Park. 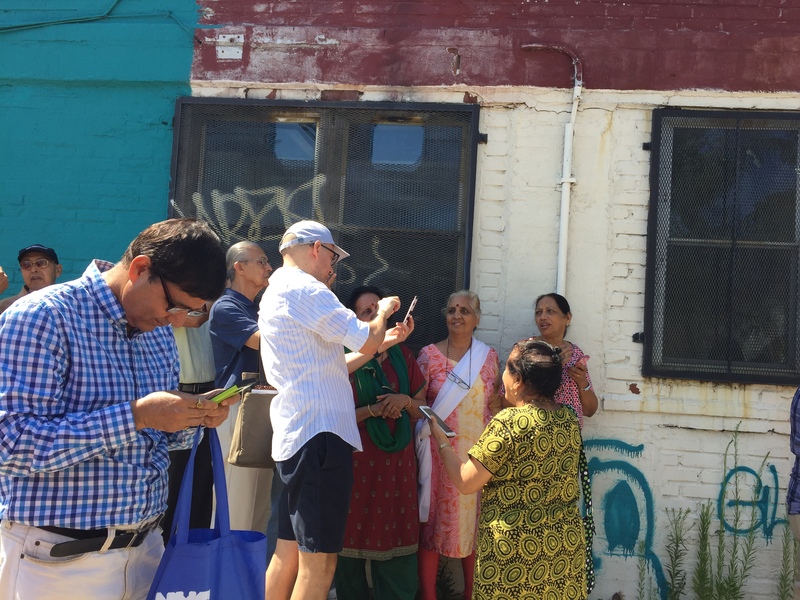 We love taking our seniors around the city and state so they get exposed to American life and culture. 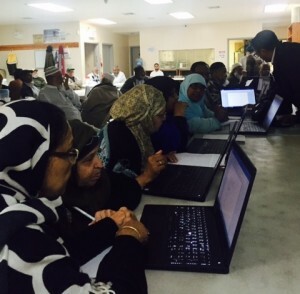 Often, our seniors cannot go on their own. 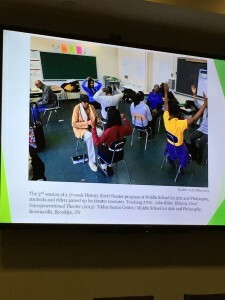 These trips are very important for our seniors to see different places and learn more about the United States. MoMA, the Museum of Modern Art in NYC, is not only one of the world’s largest museums for modern art, it is also the most influential museum of modern art on the planet. 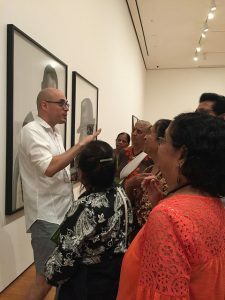 Now the museum is bringing its power and prestige to a program that will get more older adults to visit the museum, take its classes and learn about art. 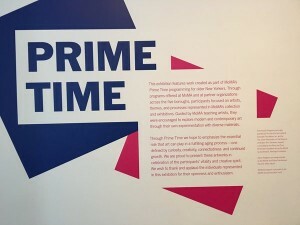 Called Prime Time, the initiative plans to engage older adults with opportunities to experience art in new ways and is part of a broader attempt to redefine aging. 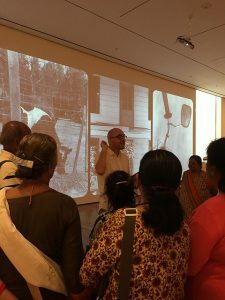 India Home was part of Prime Time Exchange, a conference that brought together 20+ museums and cultural institutions, 20+ multi-services agencies and aging services organizations, city agencies, community-based arts organizations and teaching artists. 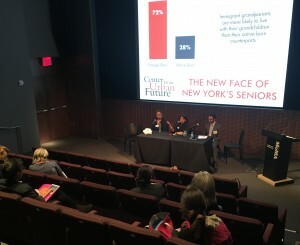 India Home’s Lakshman Kalasapudi and Meera Venugopal were on two separate panels with Evelyn Laureano of Neighborhood SHOPP that serves 5000 seniors in the Bronx and Christian Gonzalez-Rivera of Center for an Urban Future, who, among other things, is the author of an important and timely study of immigrants and aging in NYC. 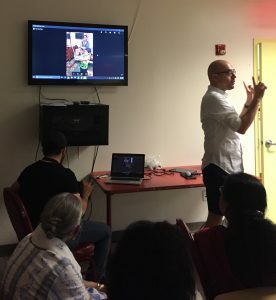 It was an opportunity to make great connections with other museums and art organizations and we hope to see teaching artists from MOMA come out to meet with our older adults. We were happy to share our experience of serving South Asian immigrant seniors with the audience at the Exchange. 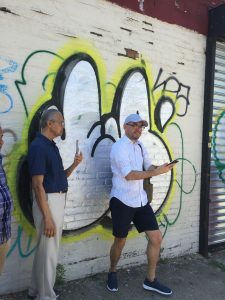 We hope that more arts institutions in NYC will think about the unique needs and perspectives of immigrant seniors and invite them to contribute to this conversation about art, creativity and aging.